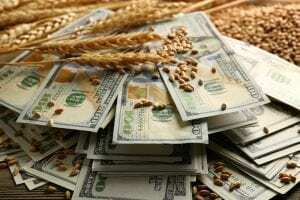 The Department of Agriculture (USDA) is readying round-two of trade mitigation payments for farmers. The payments are the second half of the $12 billion program by the Trump administration to compensate farmers for losses stemming from Trump’s trade agenda. Agriculture Secretary Sonny Perdue said he doesn’t expect the payments “any later than December,” according to Politico. USDA previously used about $6.3 billion to facilitate the program that also includes commodity purchases and trade promotion. The second round of payments offers the same per-bushel or per-head amount to farmers as the first round. Corn growers will receive one cent per bushel, and soybean growers will receive $1.65 per bushel, per 50 percent of production. Hog producers will receive $8 per head and dairy farmers will receive 12 centers per hundredweight. Meanwhile, wheat producers will get 14 cents per bushel, sorghum growers 86 cents per bushel and cotton producers six cents per pound.